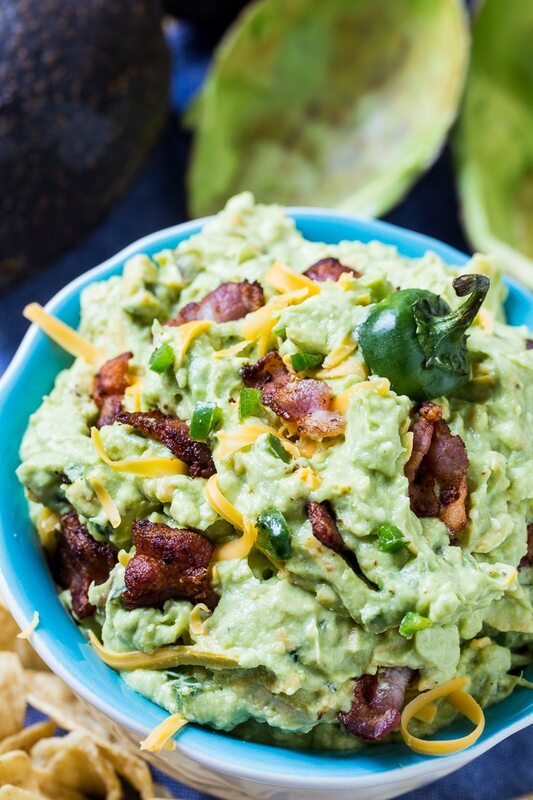 Jalapeno Popper Guacamole is so creamy with salty pieces of bacon, a little cheddar cheese, and a diced jalapeno for some heat. 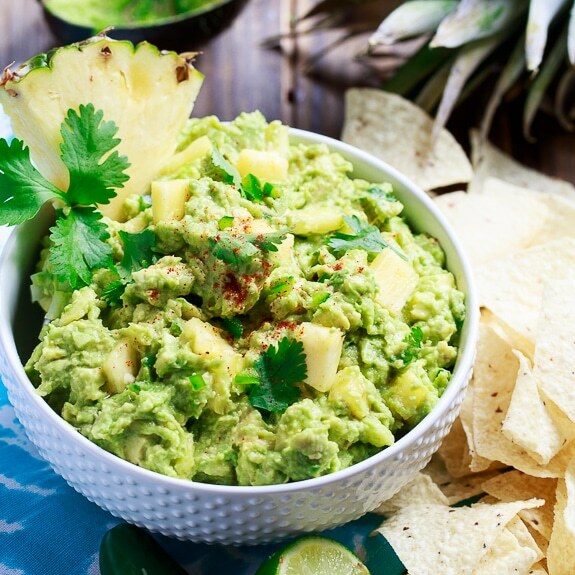 Served with tortilla chips, this guacamole is the perfect appetizer for game day or a Cinco de Mayo party. You’ll want 3 ripe avocados for this Jalapeno Popper Giacamole. 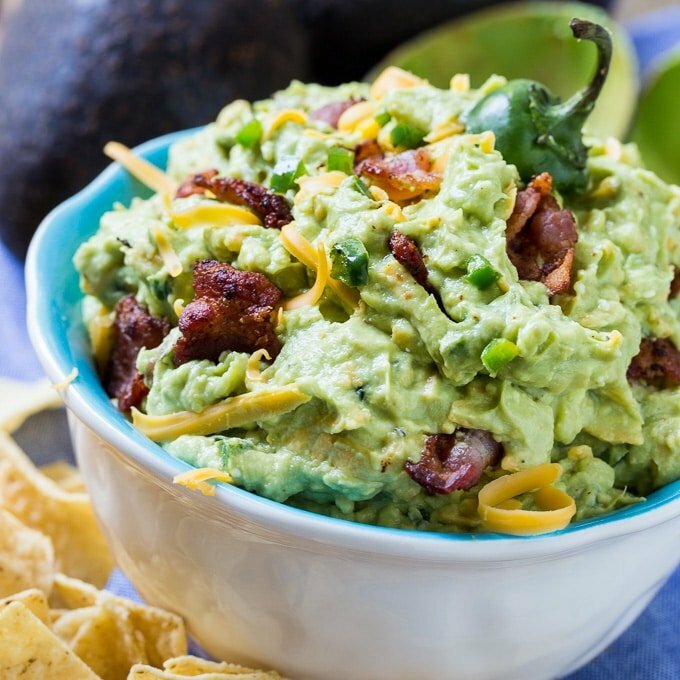 To give the guacamole that creamy jalapeno popper flavor, mix 2 ounces of softened cream cheese with the avocado. Next, add 2 tablespoons of lime juice and salt and pepper to taste. I find the amount of lime juice in guacamole is totally a matter of taste. So you may want to add a little more if you like the lime flavor to really pop. Next stir in diced jalapeno, shredded cheddar cheese, and 4 slices of bacon that have been cooked and crumbled. Open up a bag of tortilla chips and get ready to dig in. This is one delicious guacamole. So creamy, salty, spicy, and good! Watch the short video below to see how easy this recipe is! Jalapeno Popper Guacamole is so creamy with salty pieces of bacon, a little cheddar cheese, and a diced jalapeno for some heat. Mash together the cream cheese and avocado in a bowl until smooth. Stir in lime juice and season to taste with salt and pepper. Stir in jalapeno, cheddar cheese, and bacon. If you don't want the jalapeno to be crunchy, you can cook it in the leftover bacon grease until soft. Or you can use canned jalapenos instead of fresh. 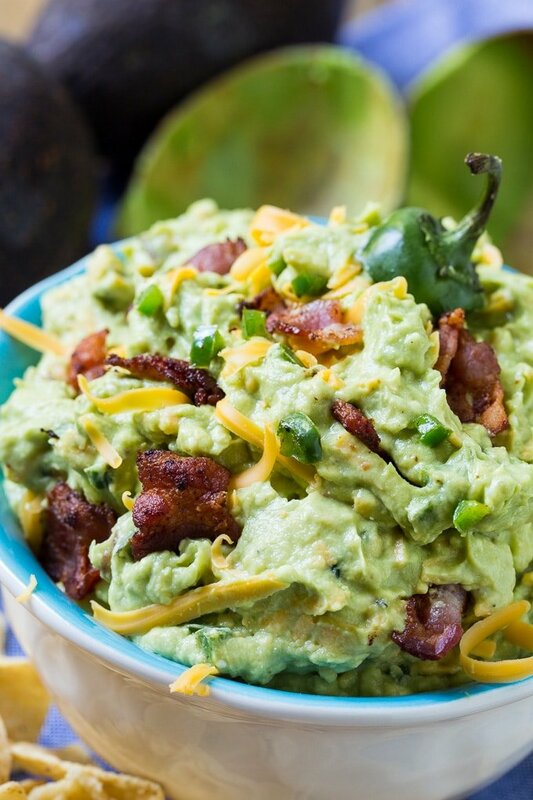 This entry was posted in Appetizers and tagged avocados, bacon, Jalapeno. Bookmark the permalink. All of my favorite things! Sounds amazing Christin!